I have been publishing the Wishlist of Books for Nonprofit Folk for seven years at my blog Marion Conway – Consultant to Nonprofits. It is always my most popular post of the year and is visited throughout the year. It is a curated list. I invite nonprofit thought leaders to contribute to it each year and the list is actually made up of recommendations that they have made. This year’s contributors include: Debra Beck, Kathleen Brennan, Heather Carpenter, Pamela Grow, John Haydon, Beth Kanter, Andrea Post, Ash Shepard, Amy Sample Ward and Robert Weiner. 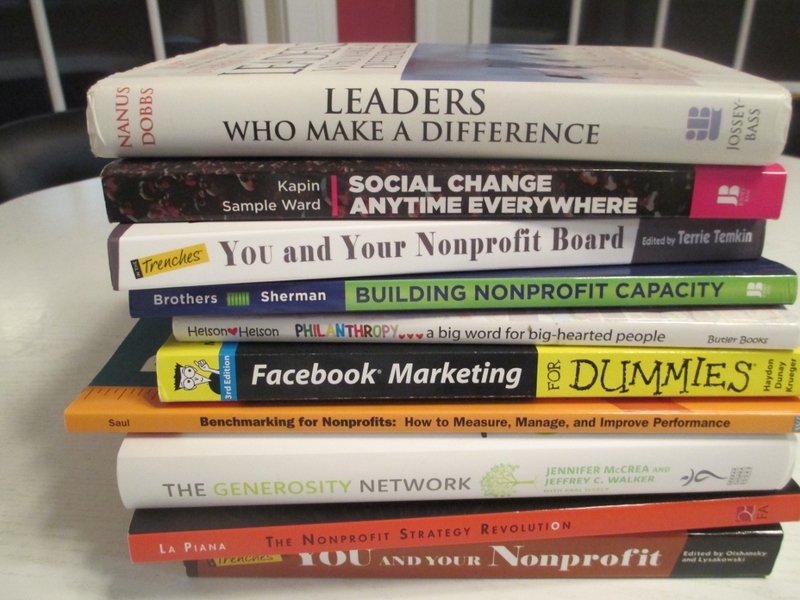 The contributors are not limited to nonprofit titles and so there are always excellent books meant for a larger community that speak to us in the nonprofit community as well. This year’s list is varied – inspirational and practical. There are books with transformational ideas and ones that remind us of the importance of simple things. I invite you to take a look at this year’s wishlist . Click here to visit the post.